Sole E98 Elliptical Trainer Review by Industry Experts! 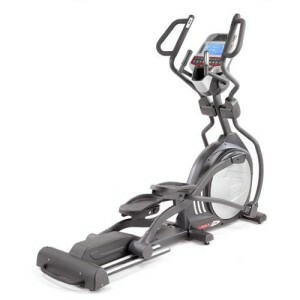 The Sole E98 Elliptical Trainer is On Sale! Commercial Grade Elliptical for Your Home! The Sole E98 is a light commercial treadmill that could do wonders in your home. It is designed and engineered to take whatever you can dish out. It has articulating foot pedals, a heavy 34 lb flywheel, and 20″ stride length. This machine has a super smooth motion and it’s clear that the makers put a great deal of effort into the design. The display has a 10.1″ TFT LCD easy-to-use screen with 11 workout programs ranging from heart rate to fat burn. The latest release of the E98 also has Bluetooth technology so you can track your work out stats. Use the specially designed Sole Fitness app or another popular compatible app. The best thing about buying a Sole elliptical is their reputation as being stable, durable and low maintenance. Plus, they are backed by top of the industry warranties. Bluetooth Technology – The most recent Sole E98 machines have Bluetooth technology that allows you to view your workout stats on your smart device. Use the specially designed Sole Fitness app or another popular and compatible app. Adjustable Power Incline – This is one of the stand out features on this machine. The power incline allows you to easily adjust your incline so that you can work your lower body muscles more effectively. Custom Designed Foot Pedals – Sole worked with a physical therapist to incorporate a 2 degree inward slope which reduces stress on the ankles and knees. Articulating Foot Pedals – A common issue with foot pedals on ellipticals is toe numbness and sore Achilles tendons. The articulating foot pedals do a nice job of adding comfort for each person’s unique motion. Strong frame – As mentioned before, this machine was designed for the light commercial market, so it is strong enough to take the abuse of multiple users and constant motion. The Sole E98 has 38 mm steel and can handle a user up to 400 lbs. Stride Length – This elliptical has a stride length of 20-22″ which contributes to a nice motion. Heavy Flywheel – The Sole E98 has a 34 lb flywheel that allows for smooth and natural motion. 10.1″ TFT LCD Display – The console comes with 11 programs to add interest to your workout. Heart Rate Control – The E98 has pulse grips and is chest strap compatible. Size – 83″ length. This machine is pretty big so make sure you have the space for it in your home. Great Warranty – Lifetime Frame, 5 year Electronics, 5 year Parts, 2 years Labor. This is a pretty awesome warranty! Check out our comparison complete list of Sole Elliptical models here. The Sole E98 is a well built machine that is actually very similar to the Sole E95S. The difference? The E98 is slightly smaller and okay for light commercial use. They are both backed by a great warranty, have a smooth elliptical motion, have adjustable power incline, and a sturdy stable design. Since they are both the same price, you’ll win with either one of them! Need more convincing? Check out our full brand review of Sole Fitness to see why they are a great value.